At the end of every quarter, we acknowledge the agents who achieved the amazing feat of selling one million dollars of real estate in a single month. 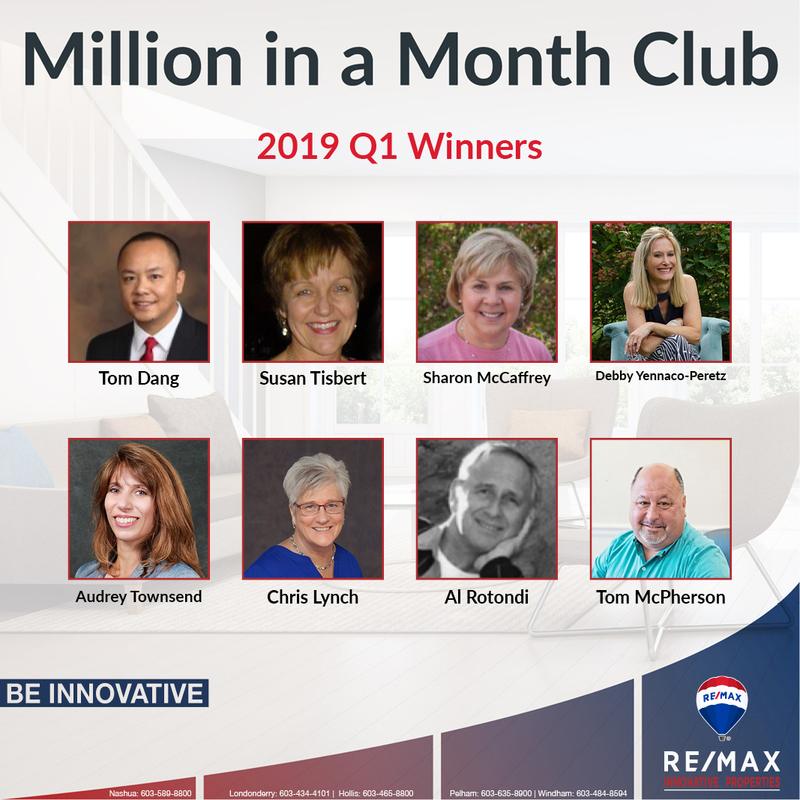 We are very proud to announce that 8 of our agents qualified for the Q1 Million in a Month Club! It takes hard work, devotion, and a whole lot of hustle to sell $1,000,000 of real estate in a single month. To commemorate their achievement, these agents will be treated to a celebratory luncheon with the RE/MAX Innovative Properties ownership team! 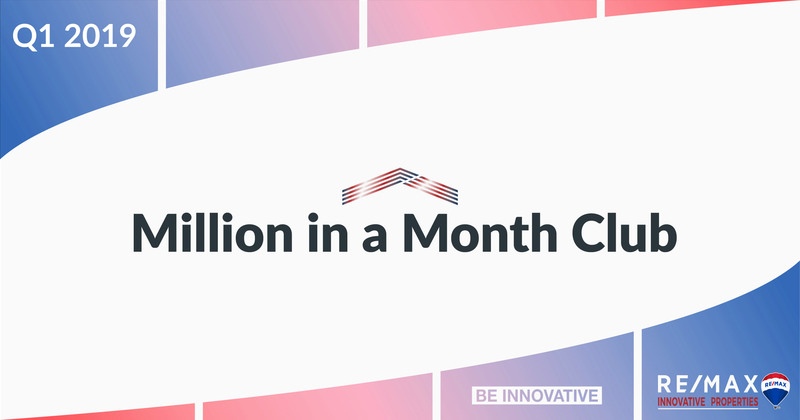 So, without further ado, we present the 2019 Q1 Million in a Month Club. We would like to thank the winners, as well as all of our agents for their continued dedication to providing New Hampshire and Massachusetts with the best possible real estate services.